In a country the size of Delaware with over 200 breweries, one can become overwhelmed on a first visit with the staggering selection of choices. Currently there are over 1,200 different beers available in Belgium. So where does one go to find the best selection? First I would like to point out that grocery stores in Belgium are where the locals get their beer. It is also available at the Carrefour department stores (similar to Wal-Mart). Both offer a decent selection of the mainstream beers at great prices. But for the best selection of the more obscure beers one needs to get creative. Please be aware that many beer shops in Belgium do not accept credit cards. Also, check the web sites for opening days and hours. Yes…I am biased as De Struise beers are some of the best brewed beers on the planet and the Struise ‘family’ are like part of my family. Bart Vanpoucke is the proprietor of this place and they not only offer very rare De Struise beers, but also carry some of their spirits as well. They also offer a nice selection of rare to very rare U.S. craft beers. Bart has 6 tap handles so you can order a beer to enjoy while perusing the selection, or just has a seat and relax after enjoying one of the most fantastic cities anywhere. 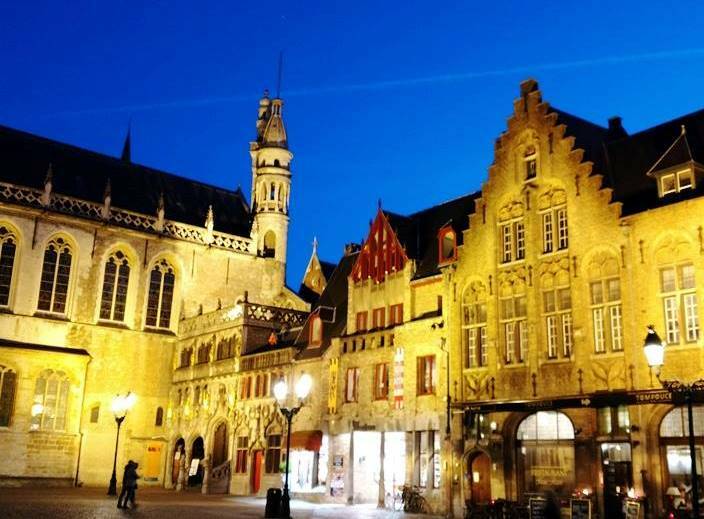 The picture was taken in the Burg in Bruges…the beer shop is in the area that is shining so bright…just to the right of the Basilica of the Holy Blood. OK, I have to be honest here. I have known about this shop for many years now; but they often are out of great beers that I wish to purchase…and I felt that if I told all my readers about it…they would ALWAYS be out of beer. But one of the owners asked me why they are not featured; so thought I should ‘share the love.’ They have a great cross selection of all types of Belgium beers from most of the breweries and will ship to the U.S. 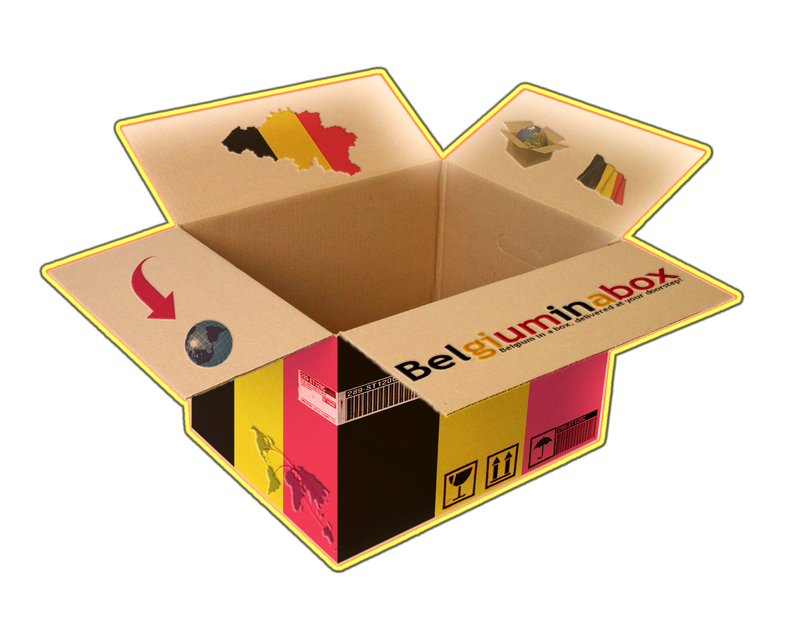 It is highly suggested you get with friends and combine orders for the best shipping rates, as they are high from Belgium and the higher the weight, the better value. I must admit, I have never been to this shop and pub, but one of my closest friends in Belgium insists this is one of the best shops they have ever visited. Owners Sabine Verbuyst and Stefaan Van Canneyt started out with a nice cozy pub and then decided to sell some beers to go. The beers to go portion of the business grew until today, they have over 1500 different beers for sale. This shop is about 10 miles from Brugge, so it is convenient. Louis Willems started out as a beer rep for brewery Roman in 1962 and after selling their beers for many years decided that he would like to open a beer shop. The shop opened in 1983 as a local discount beer shop. When growth continued over the years they found it necessary to build a newer and larger center in 1995. Today they offer over 850 different beers and a recent visit found a few dusty bottles on the shelves. (Well, not dusty in the clean sense – but vintage.) Grobbendonk is not near any typical tourist centers, so you will need to drive to visit; but the drive is worthwhile. Closed during lunch and Sundays. This show was known previously as Jan Holemans; but Jan retired in 2007 and sold the place to another shop around the corner owned by Marc Pelgrims. Jan’s son now works for Pelgrims. This place is amazing! It is a bit hard to find, but well worth finding. It is right off the center of town on a very busy street and very easy to miss. There is a small entry into the smallish parking lot and the entrance does not provide a clue as to what lies inside. Once you clear the doors and the checkout area you view a long aisle of beer after beer. Walk another 25 feet and a large room opens to your left, also full of beer. This is Beer Nirvana. A huge warehouse with almost every beer one could imagine and at wholesale prices. Over 500 beers available. They also sell glasses, wine and a full range of jenevers and liquor. Noel’s isn’t the one of the largest nor does it have the best selection; but I love shopping here. Noel’s is off a main road on the way to France from Poperinge. (It’s about 5 miles outside of town.) The sign is very small so watch on the right for an old barn looking building with a large hedge of trees and lots of cars. Drive down the small lane and enter. Noel has over 300 beers and one will find many regional specialties here as well as some old weird beers from time to time. They don’t take credit cards. Yes, the huge cat on the check out counter is real. Very large specialty beer shop with a very large selection. Baarle Hertog is an interesting town. It is due north of Turnhout, right over the Dutch border. What? You thought this was a Belgium beer site? It is! Baarle Hertog was an enigma after WWII. Half the people in town wanted to remain Belgian Flemish and the other half wanted to be part of the Netherlands. So to get here, you leave Belgium, drive about 7 Km and enter Belgium again; but only half the town is in Belgium. There is an actual ‘Border Line’ painted across the main street separating the two countries. The line even climbs up the wall and across the roof of one dwelling. AND it is an international phone call to call your neighbor across the street. ANYWAY, Brouwershuis has a selection of over 700 beers, but they also carry Dutch, German, U.S. and other countries beers, but their Belgian selection is great. Don’t forget to visit the cellar. There’s some interesting finds here. Also, when you are heading back out of town towards Belgium, look on the right about 500 yards down. There is a large white building that is also a beer warehouse with over 200 beers. This is a very large and modern looking beer center and is right off the main road going through the town of Hamme. It is about 3 miles off the E17 and about 14 miles from Antwerp. I would recommend travelers to try to get out of Antwerp if trying to shop for beer, or look in the numerous, but very well disguised grocery stores if there is no way to get out of Antwerp. If you only want a few, fine. But if stocking up, I’d rent a car or take a cab. This shop has about 200 different beers; mostly mainstream, but they carry most of the Trappists and some regional beers. This large beer and spirits shop is directly across the street from the Vaudree II café. The original Vaudree café has a beer list of 900 beers; this one has 150 for consumption on site. There are 8 different cafes all around the Liege area. The beer shop carries around 500+ beers. As close to the French border as you can get and south of Leper, this shop is really like a wholesale drink center with over 850 beers available, but they do sell to the public.. Very low prices and large selection. A shoppers delight.